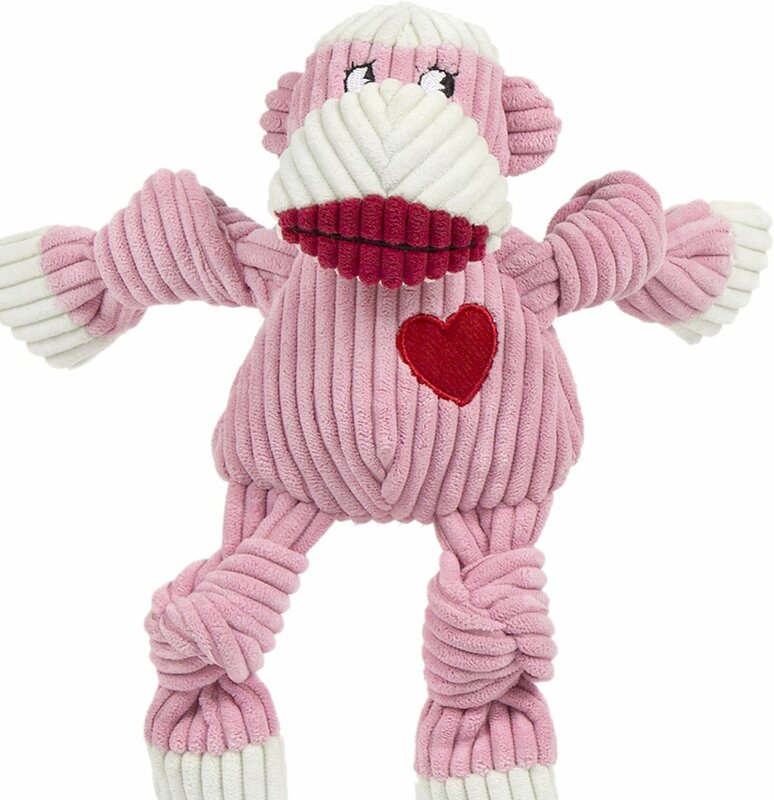 With a soft and cozy outside and a durable inside, your dog will get to enjoy the best of both worlds with this HuggleHounds Sock Monkey Knottie Dog Toy! It has knotted limbs and features HuggleHounds Tuffut Technology—a double layer of lining on the inside of the toy for added strength. And to really keep your canine companion engaged and entertained, it’s designed with not one, not two, but five squeakers! HuggleHounds Knotties help encourage plenty of play and exercise to keep your dog entertained and active. This toy is suitable for dogs of all breeds, ages and sizes and comes in two size—medium and large, and two styles—Mr. Sock Monkey and Ms. Sock Monkey! Best of all, it’s machine washable for easy cleaning! Features Tuffut Technology—a 2-layer liner inside the plush for extra support and added durability. Knotted limbs help support tugging and shaking. Available in 2 sizes to suit small, medium and large dogs. Each animal contains multiple squeakers to keep your BFF interested. Ultra-soft exterior is great for cuddling after playtime.